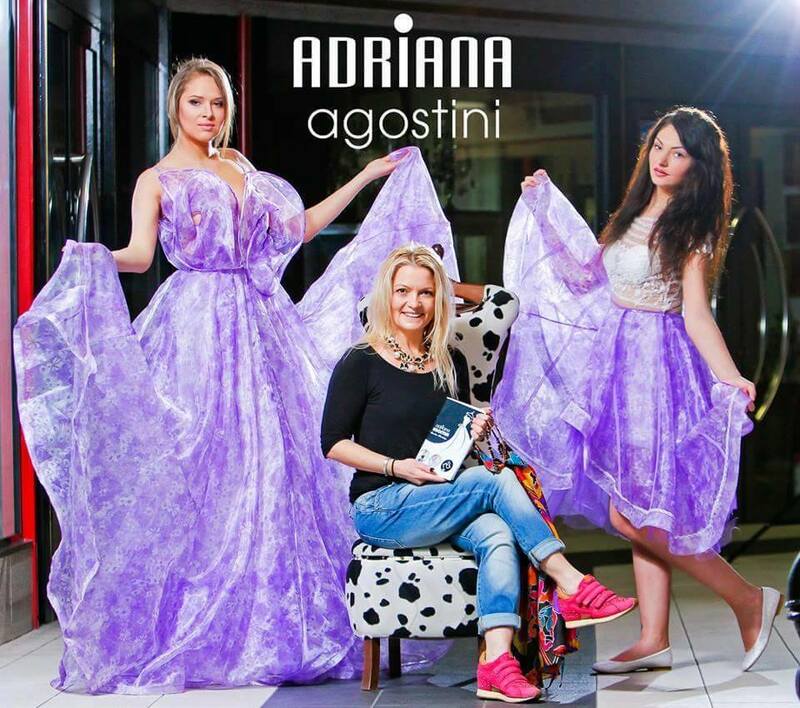 The Romanian and Italian catwalks have a constant presence: the fashion designer Adriana Agostini. Each of her collections have shined since 2009 at almost each of the editions of Romanian Fashion Week, Mamaia Summer Festival and Bucharest Fashion Week. Her creations were noticed through their uniqueness and were considered an utter success at the last editions of Romanian InfoFashion Festival which is not only a fashion show but there are nominated the creations of the designers that will ensure the outfits of Romanian representatives at World Final Miss Supranational, Miss Intercontinental, Miss Tourism Queen International, Miss Globe, Top Model of the World, Miss Bride. What makes this designer so special? The answer is simple: she does not subdue to the commercial limitations but she likes to explore the artistic structure and style before she would choose an outfit. She reinvents, she creates, she discovers, practically she will play with different concepts, tendencies or colours and the result is that the femininity will be rediscovered and re-branded in an unique and in an irresistible manner in which the non-quality or the monotony just don’t fit. The outfits created by her are like a pro-femininity manifesto that wants to show that a woman can be as equally strong as a man but at the same time extremely sensitive or seductive and can fit in trendy, fancy, glamorous or cool categories. With he the occasion of the Bucharest Fashion Week, the collection she presented combined the goth and the vintage currents but they were meeting a playful trend, so appreciated by the youth. Adriana Agostini was awarded by Donna Impresa Magazine from Italy, the Donne di Moda Prize. The same prestigious publication, led by Valeria Mariani and Bruno Baldassarri, also rewarded the organizers of Romanian InfoFashion Festival Camelia Seceleanu and Marius Seceleanu with the Management Prize.